Gently cleanses, moisturizes the skin, makes it soft, tender and delicately perfumed. 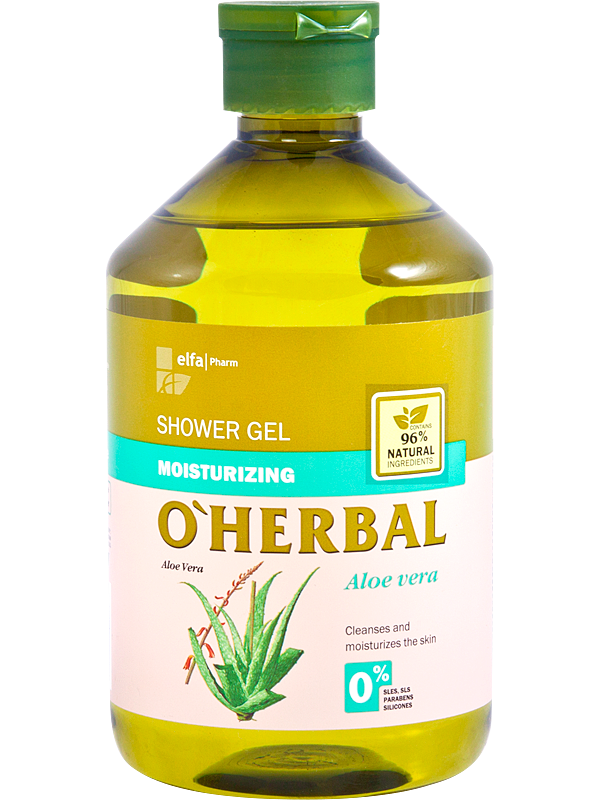 Aloe vera leaves contain anthraglycosides, anthraquinon, resins, ferments and vitamins. 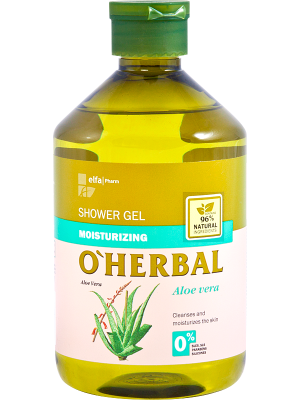 Aloe vera leaves extract moisturizes, softens and soothes skin. How to use: Apply to your skin in the shower. Lather, then rinse thoroughly. Ingredients: aqua*, ammonium lauryl sulphate*, cocamidopropyl betaine*, coco-glucoside, glyceryl oleate*, glycerin*, lauryl glucoside*, polysorbate 20, aloe barbadensis leaf extract*, tetrasodium glutamate diacetate, citric acid, parfum, sodium benzoate, potassium sorbate, citronellols, limonene.